I’ll admit. I am so hesitant to dream. I have dreamed about something in the past, only to have those dreams dashed. I dreamed of having children. Then we found out I couldn’t or that it’d be too risky in 2010. Then our dreams were restored through a gestational carrier, but God took them home just 3 weeks gestation. Then we didn’t know what to think. Okay God, you’ve given me this hope, this dream…and then Mazy Grace was born in 2015! I dreamed of not having heart issues after that first surgery in the fall. Dan and I dreamed of what our life would look like. And boy did that take a quick turn a week and a half later! Just read A Heartbeat of Grace to get an idea of what all occurred! Even though I feel like some of my dreams haven’t gone as planned, all of my dreams haven’t been without hope. There has been a level of trust that has developed over the past few years that I wouldn’t trade for anything. Not for my children in heaven or for a healthy heart because I know God has as good good purpose and has blessed me beyond my wildest dreams, truly – those dreams have just looked different through the years. There is this peace that I KNOW God is working for the good in all of this and that He truly DESIRES to give us good things! Though it sure doesn’t sometimes feel like that though, does it? 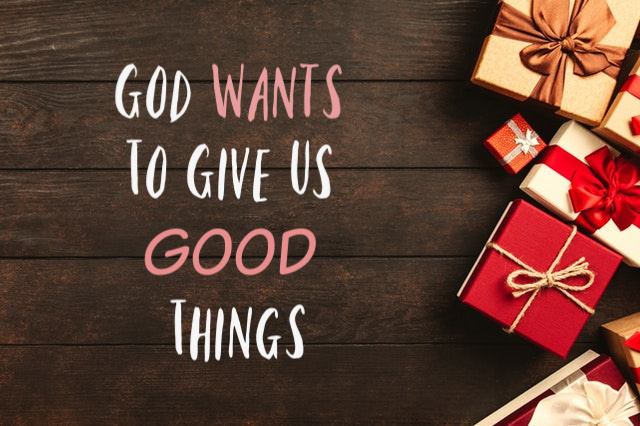 But that is where we have to trust what the Bible says – that our Heavenly Father will ALL THE MORE give us good gifts to those who ask. Am I afraid to ask for a healthy heart? Yeah I kind of am because healthy meant another surgery and things still have been rough when we were certain I would go on to live a “normal” life. But do I still dream of living a long life? Absolutely! I want to show Mazy the beauty of the world. She makes me fight all the more and to look for the good gifts that God gives us! That doesn’t mean we will necessarily sail around the world, but what I do want to do is show her the beauty of the earth and that can be right in our backyard. You know the saying “When life gives you lemons…” well, there sure are “sour” and tough circumstances that will happen. But choose to make lemonade, right? Make the most out of what has happened. That is exactly what God I think is saying in the verse above. We have all fallen short, but God continues to make lemonade out of our lemon-situations in life. That is love. That opens the door to dreaming. All we have to do is ask God to help!